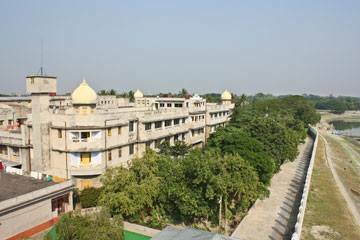 In Kumudini Womens Medical College (KWMC) information, it was established at Mirzapur, Tangail in the year 2001. This privet women’s medical college is associated with Kumudini Hospital. The total area of Kumudini Women’s Medical college and Hospital is 110 acres. This college offers 5 years of MBBS degree including an internship in the hospital. Also, it’s a residential college with has a good environment for female students with security, discipline, academic atmosphere and learning facility. However, this college also offers 4 years BDS degree from recent 4 years. So now here further more about Kumudini Women’s Medical College (KWMC) information and Kumudini Womens Medical College (KWMC) admission process. This college is one of the reputed privet colleges with all the advanced facilities in Bangladesh. Let’s know more about Kumudini Women’s private Medical College (KWMC) & information and Kumudini Women’s Medical College (KWMC) admission process. Khumudini Women’s medical College provides the best facilities for the students for their proper learning. With the experienced and professional teachers, it offers great laboratory, classroom, library, hostel and plays grounds. The library of KWMC is situated in the college building and provides around 60 students seating facilitates. Also, there is a special arrangement for teachers also. The library has a sufficient number of academic and reference books and journals for students and teachers. Also the library ahs full facility of photocopy and internet connection. The faculties and departments list of Kumudini Women’s Medical College (KWMC) information is given below. Candidates who want get admission here must have to pass SSC/O level or equivalent exam and HSC/ A level or equivalent exam from science group with Biology, Physics ad chemistry subject. The total grade point of both exams should be 8 in average. After the publishing of HSC result, the MBBS admission will start in the college. All the admission details about KWMC will publish in late September each year through daily newspapers and their official website. To know more about Kumudini Women’s Medical College (KWMC) admission process or Kumudini Women’s Medical College (KWMC) information, Contact on these addresses. 74 Gulshan Avenue, Gulshan-1, Dhaka 1212, Bangladesh. So here is the end of Kumudini Womens Medical College (KWMC) information and Kumudini Women’s Medical College (KWMC) admission process. Thanks for visiting www.bdeducationinfo.com for getting information about the privet college in Bangladesh. This entry was posted in Dental Medical College, Medical College, Private Medical College by admin. Bookmark the permalink.